This Power of 5 Pentagram offering is super special. Are you familiar with the brilliance of five? The number five is mystical and magical, yet very much human. (Think five fingers and toes, five senses, etc.) 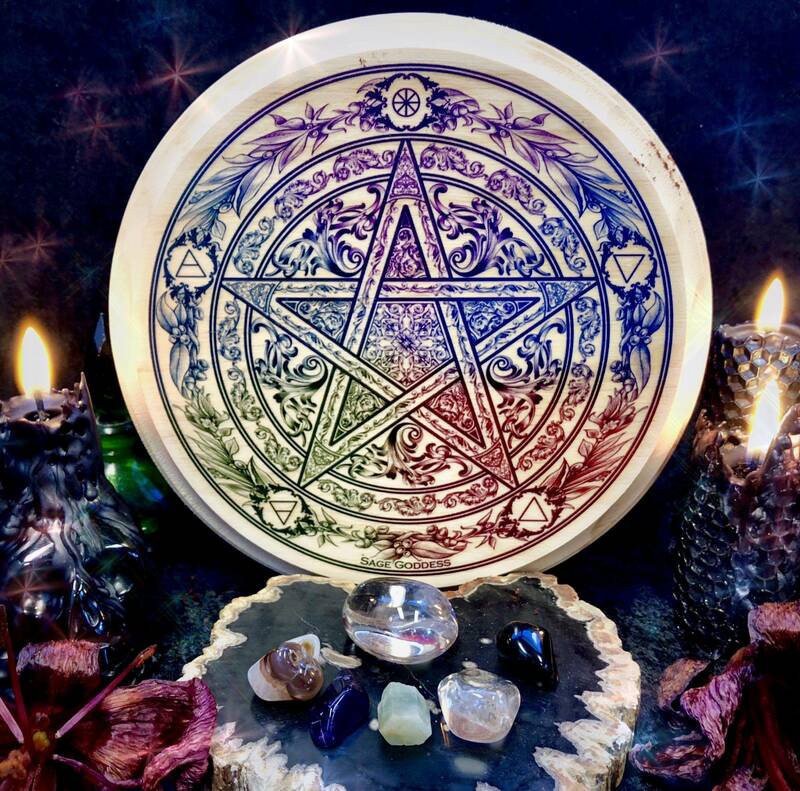 These Power of 5 Pentagrams feature a wooden round that comes with six gemstones, one for each point of the star and one crystal clear quartz to place in the middle to enhance the energy of the other crystals. 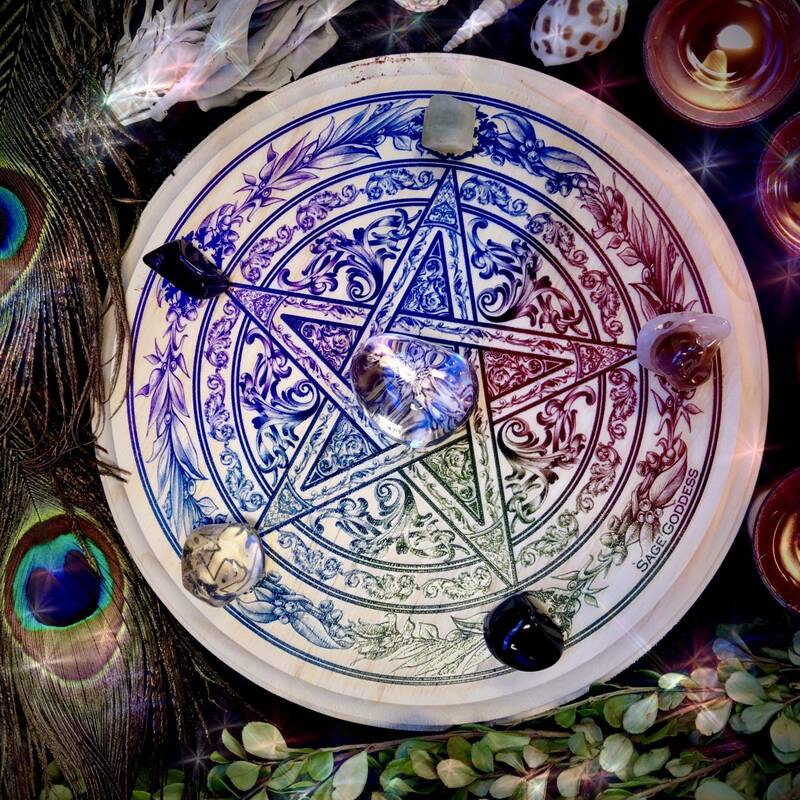 Work with your Power of 5 Pentagram to activate your star self! The pentagram is a symbol of a star encased in a circle. It has five points with the upward point representing Spirit; the remaining points represent one of the four elements. The top right point represents water. The top left point represents air. The bottom right point represents fire. The bottom left point represents earth. Each element contributes to life and is intrinsically a part of us. Woman is said to be a star and when placed inside a pentagram, each part of her fits perfectly into the points of the star (with her head being the upward point, outstretched arms filling the top right and left points, and outstretched legs filling the bottom right and left points). With this offering you will receive six stones to place on your pentagram round. 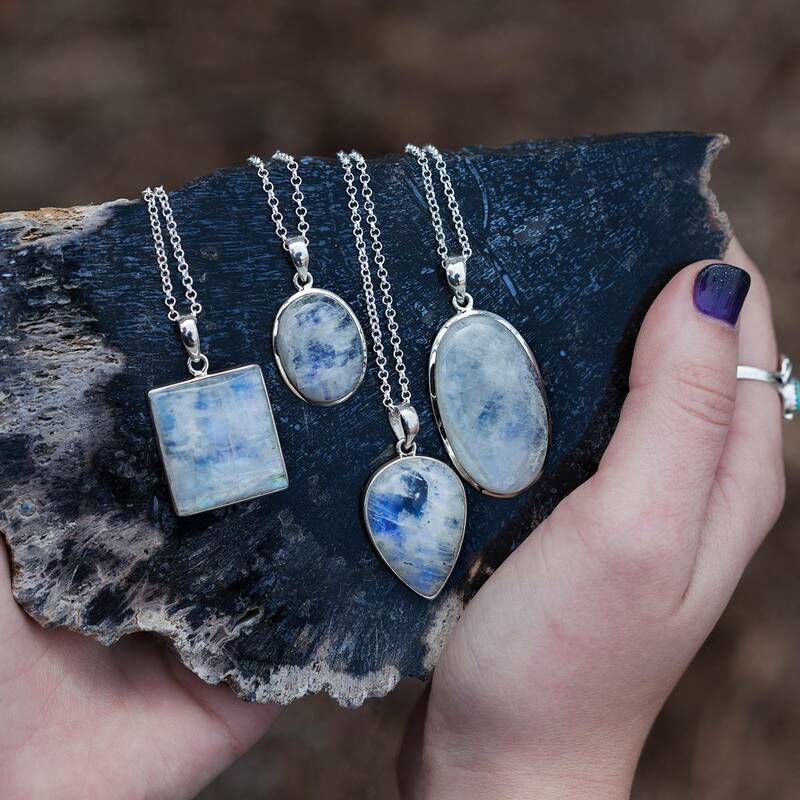 Amethyst to represent Spirit, aquamarine to represent water, fire agate to represent fire, obsidian to represent earth, and citrine to represent air. 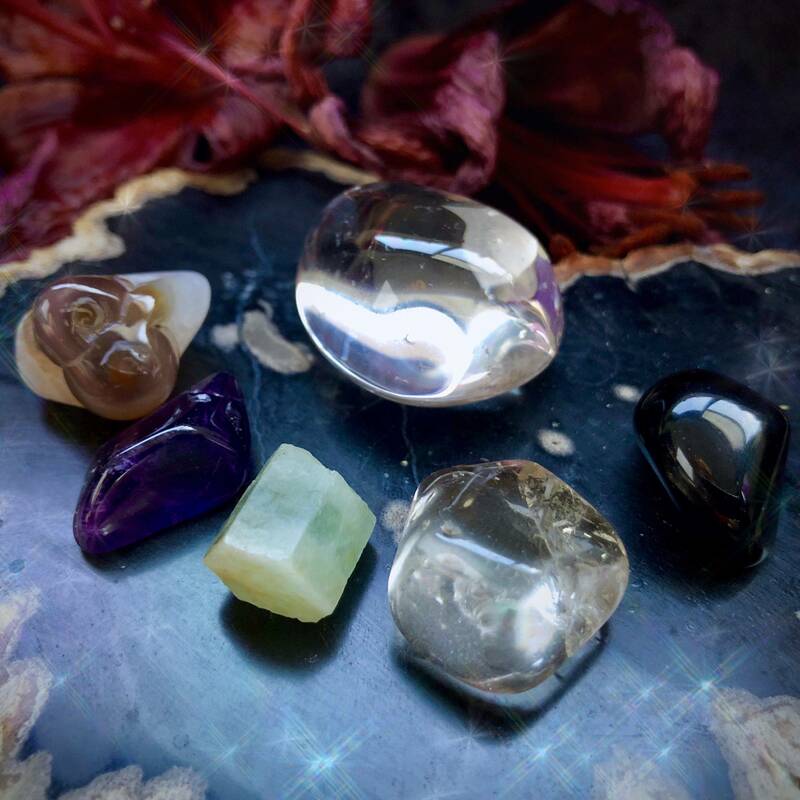 Lastly, clear quartz will be placed in the middle of the pentagram to enhance all the energy of the crystals on each of the five points. 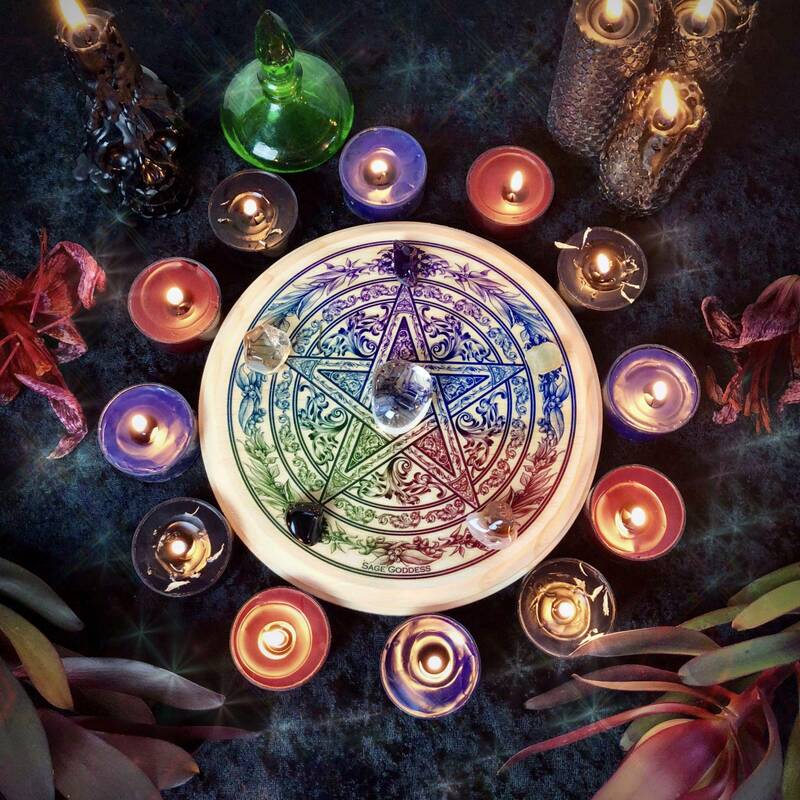 Place your Power of 5 Pentagram on your altar or simply hang it in your office or creative space as a visual reminder of your connection with all of life. 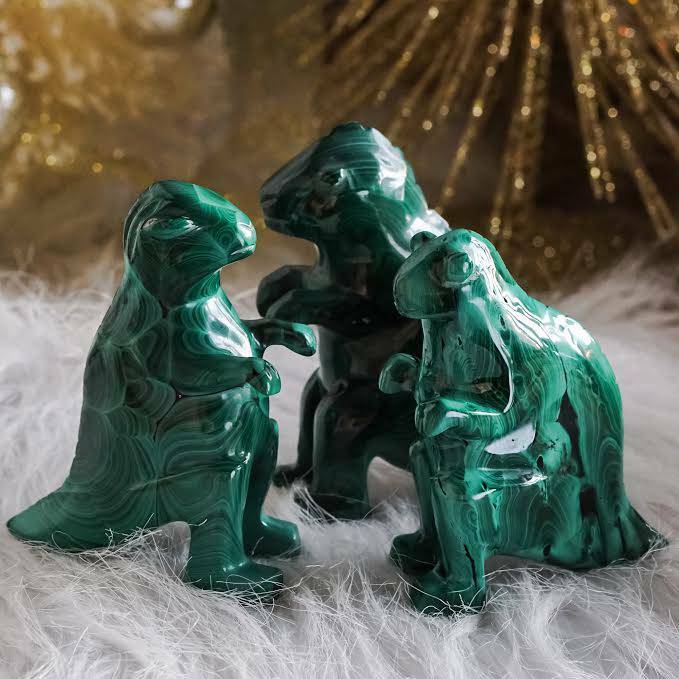 Work with the gemstones in this offering, tapping into the essence of the element each represents. Let this offering remind you of your true star nature. This listing is for one (1) Power of 5 Pentagram. 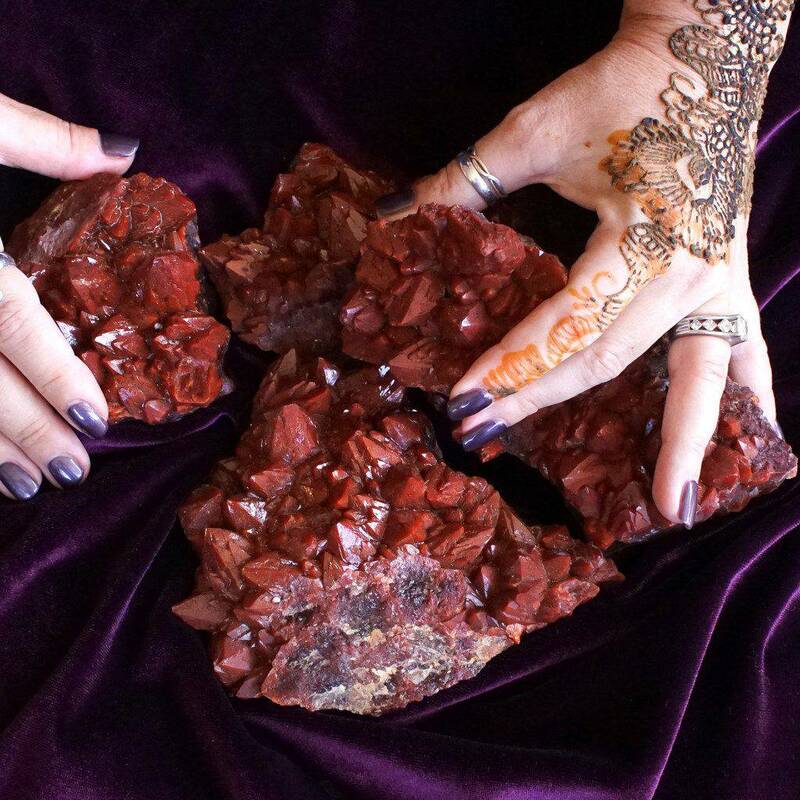 Yours will arrive lovingly parceled with a white sage leaf and parchment describing the properties of each stone. please remove this duplicate..I don’t know what happened!